5 steps to connect with your Core Being. We have all at some time in our life felt that we are disconnected. Nothing seems to be going true to form and to be honest, we’ve all wanted to throw our hands up in the air and walk away. In moments like this, we can feel alone, angry and hurt. We feel like yelling or want to verbally hit out, maybe even physically. The urge to strike out at someone is there, all because somewhere during a moment we disconnected from our centre, our core peace. 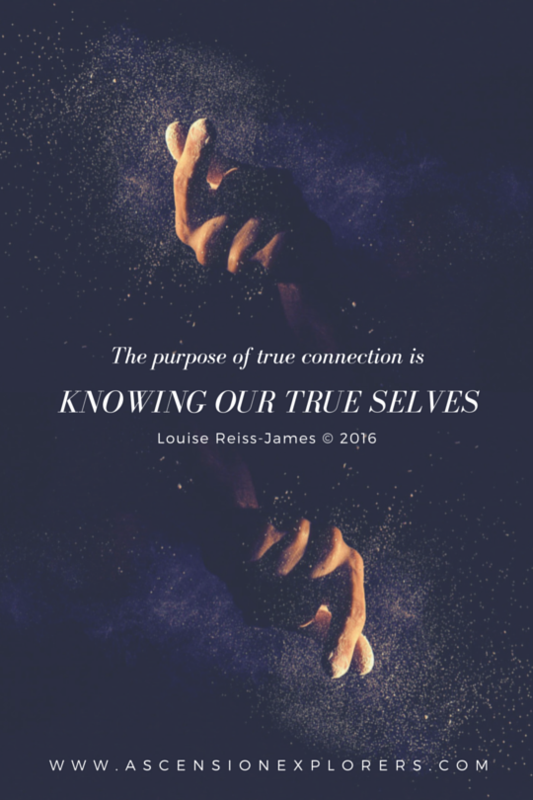 It is time to learn how to connect with ourselves. To connect with our Centre. Our Core Being. Let’s discuss this centre, the Core Being, what is this exactly? Well, take a few minutes and breathe in deeply. During the exhale, close your eyes and clear your mind. Breathe in again and exhale. With each exhale let your mind relax and clear more and more. Sure thoughts will come but watch them float by as if they are leaves on the wind. Breathe like this for a couple of moments and shortly you begin to feel a quiet creeping in. You’ll feel a sense of peace that wasn’t there before. The more you consciously breathe in and release out the more you make room for the real you to come forward again. This, this peace, is your Core Being. Deep within all of us is a part that we keep sacred. It’s that part that we run to when things get out of hand. When life just makes no sense and starts to cave in around us. That place is our Core Being, it’s the place where the child in us still believes in secrets and faeries and that we can still fly to the moon and back again. It’s that part that keeps us true to who we are. Its where we connect most to the knowing or feeling of peace, of being able to do anything. So let’s get back to the situation where the world seems as if it is collapsing on us. The boss hates our report and it needs to be redone NOW! The latest order didn’t come as promised. The receptionist is ill and oh yes there’s no coffee left in the kitchen. You know those real things in life that when they all happen at one time create this pressure that builds up and make you feel as if you want to say “$##@ **f” to the world and walk away. As much as you want to walk away and scream or yell, have a good cry or react in blaming someone else you don’t have the time or the energy. What do I mean by ‘you don’t have the time or energy’? I’ll explain. if we are honest in these situations we fling our attitude around and our bad temper around when we are in unpleasant situations. Yet how much energy and time does this take? It takes more time that we would like. Observe yourself in a past blow up, you lost it, you left the room, walked away and vented. You probably stayed out of contact for about 15min then walked back to the room. You then had to sit there and work up the courage, or effort to go and communicate to the others concerned and that’s another 5 or 10min effort. You get up there and bumble around in conversation, “I’m sorry or I apologise you rehash the situation a bit then get onto the subject of how to move forward and correct what needs to be done. In all around 20 to 30min wasted. What if by taking 5 to 10 min of breathing at your desk could save you the time and energy of the above? Calm you down and re set your thinking and attitude? Would you be interested? Keen to try? Well let’s do it. #1 Stop – Sit down just sit down. If there is one thing in this world right now that you can control it’s the fact that you can sit down, close your eyes and shut the world out for 5 seconds. By stopping you are taking an active step in disconnecting from what is happening around you; the friction in the air, the anger from other people, the frustrations and the general feeling of self-failure. This something that you may have unconsciously created with all the others but it is something that you can consciously walk away from and leave behind. By doing the action of literally standing still or walking away to a place where you can be still in, you create a void around you. You create a place where you can be with yourself. #2 Breathe – In and out slowly and deeply. You can’t control the world around you, but you can do this. Breathe in and out. Feel the breath in your nostrils and lungs and feel that same breath as you exhale. Yes, the unjust accusations are still ringing in your ears, the tightening in your chest is still there, tears of frustration sit just behind your eyelids, and a clammy dampness is still formed on your hands as you wipe them on your clothes. All of these emotions are instinctive, they just happen. But one thing YOU can control is breathing. So take a deep breath, let it out slowly then take another breath and exhale slowly again. Keep breathing, this is your time, your space. Let your mind go and let the thoughts go, concentrate on your breath going in and out of your chest. Feel your chest rise and fall with each breath. As you feel the rise and fall begin to feel your heartbeat, feel the rhythm of the breath and beating and allow yourself to slow down. Begin to drop into your Core Being, the very central part of you. Allow your breath to connect you to the part of you that no one else can touch, your sacred space, in your heart. As you breath you are learning to dis-connect from the world around you and to connect to your inner voice of intuition and knowing your Core Being. Yes, that’s right, let go! Let go of the tension, the anger, the fear or whatever you are feeling right now, let it go. It’s not your reality. You are only reacting to stimulus created in the office. That is not who you are. When you react to stimulus from an outside point of contact you are allowing the stimuli to create a trained response that is ingrained in the mind – taught over years of being told to be a certain way, act a certain way, talk a certain way, believe a certain way. If we react in a trained way, an unconscious way, then there must be a more real way for us to respond. If you do not wish to be full of tension, choose not to be, the same with anger or any other reaction that has triggered in you. Utilising your breath will allow a response to come through. In letting go of the old you are allowing new feelings to support you. Bring in the peace, the feeling of ability, and the knowledge that you can do the request. Stand in your power of knowing that you are capable and able to do the work before you from a place of peace. Connect back to yourself, bring the real you out. The person that is balanced and empowered. Yes, trust yourself. Trust that you are capable of doing your very best at what you do. So what if someone else may not agree with your first attempt. Not everyone thinks like you, not everyone sees life the way you do. Get over it, but don’t loose yourself in self-pity. Instead kick-start that part of you that knows you can do better. Use that part of you that rises to the challenge to overcome. One of the biggest things is learning to trust that connection back to yourself, but when you do connect back it is a powerful revelation of who you are. Take what they said and use it, combine it with your knowledge and TRUST your inner voice. Trust your knowledge that you can create a great article or document. Whatever you are doing know that it’s yours to do with excellence. Never allow another’s words to undermine your self-confidence and self-trust. Instead use their input to create a greater and stronger output. By knowing that you are self-confident and able to move forward without whinging and whining about how hard done you are, those who observe you will see someone who is able to handle criticism and should then also be able to handle compliments. By trusting yourself, and responding NOT reacting you show strength and stamina in moments of potential weakness. Open your eyes and look with new vision at what is in front of you, at the opportunity in front of you. How can you alter the outcome, is there something there that you didn’t see before? Allow yourself to see how you can improve, go higher and excel. Remember just opening your eyes doesn’t mean that you can see, you have to want to see where change can happen. You have to want to see to be able to see. If you would like to know more on how to deal with fears and learn how to use breath techniques in all situations contact me, Louise, and I will walk through various ways of dealing with life’s situations. Remember you are not alone in this world; there are others who’ve gone through this and come out the other side. Step into the empowerment of your core.